The DonJoy Armor with standard hinge. 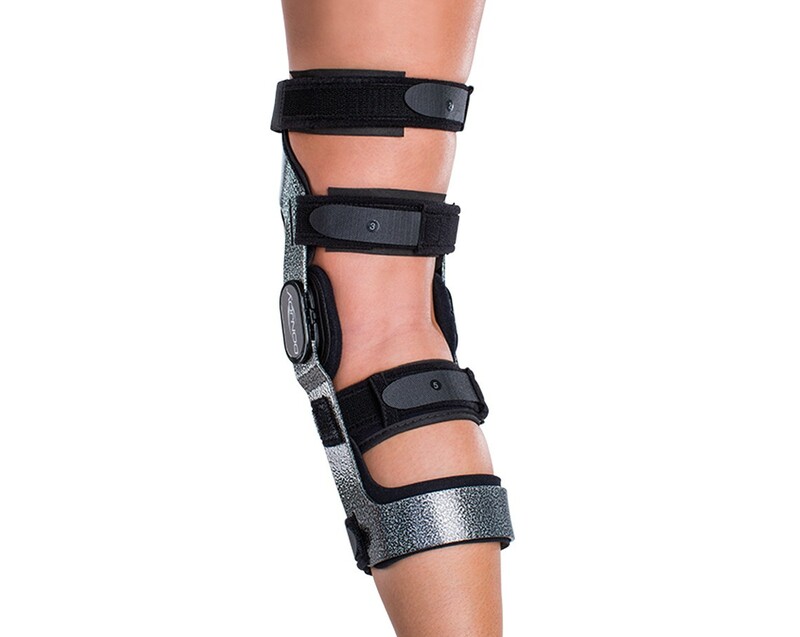 Designed for support and protection of ACL injuries. 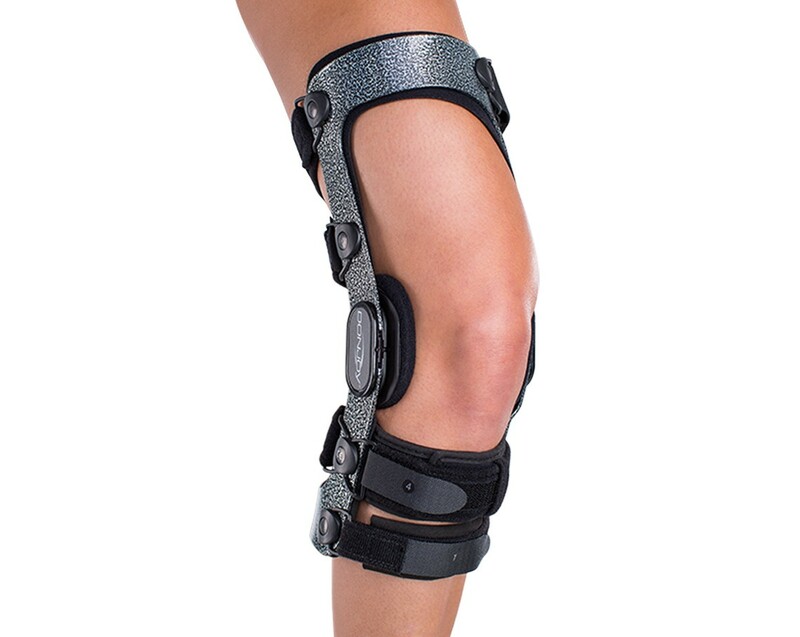 One of our best off-the-shelf knee braces the DonJoy Armor knee brace is the brace to use if you are an extremely active individual or athlete who suffers from an ACL, MCL, or PCL instability or injury. 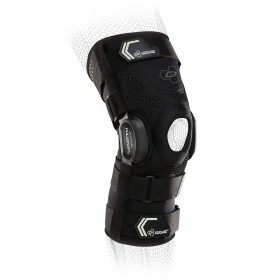 If you're concerned about preventing a ligament injury, try the Armor. 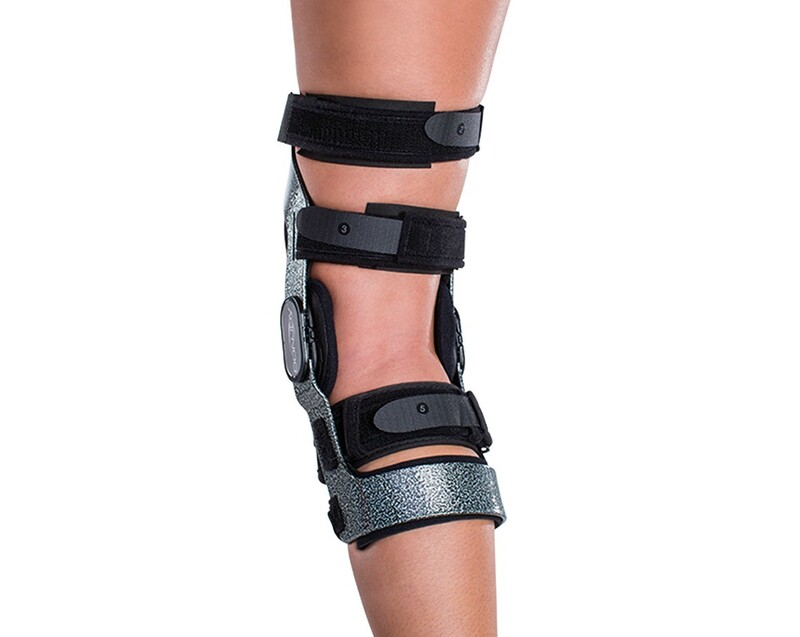 It's one of our supportive knee brace that doesn't require a prescription, and it also helps minimize your chances of suffering from one of these painful injuries. 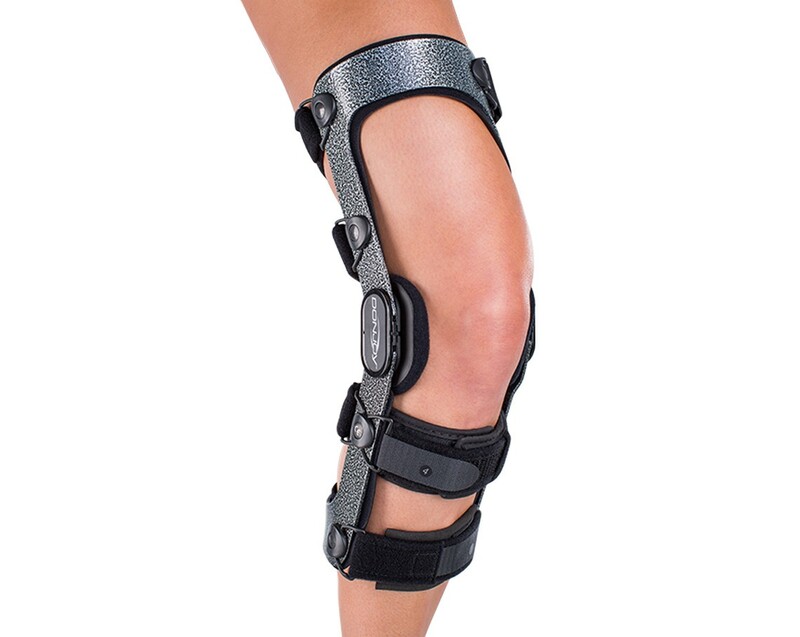 The Armor is ideal for athletes who play football, ski, snowboard, ride motocross, surf, wakeboard, or participate in similar high impact sporting activities.